While these resources are primarily directed at women of childbearing age and children, they are really applicable to all of us. If a mother stops using perfume, but the father still piles on the scented deodorant, aftershave, and cologne, then his sperm, the mother, and children (born or unborn) are still being exposed to harmful chemicals. If other family members, friends, and places like daycares are using scented laundry, personal care, and cleaning products, they too are putting moms-to-be and kids at risk. The adverse effects from these chemicals can be life-long, even longer. Our exposures can affect our grandchildren. Eliminating them from our lives now will ensure better health all around, including downstream, where fish and wildlife are also being affected. 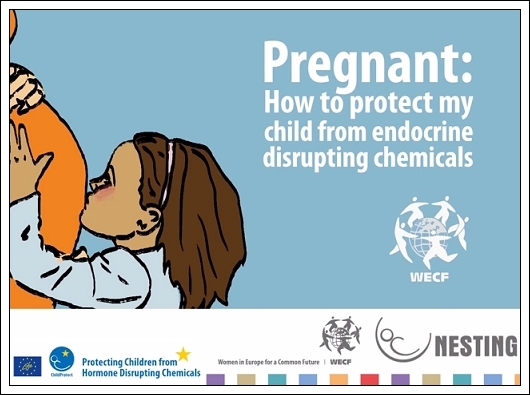 The short video below, produced by Women in Europe for a Common Future (WECF), provides simple, important information on how you can protect yourself and your child from Endocrine Disrupting Chemicals (EDCs). They are found in so many places now. WECF have also developed a new website, NESTING, which is another good resource for all of us. They have assembled a lot of good advice there. Eating Real Food Reduces Plastic Chemicals in Our Bodies! I’ve written about endocrine disrupting chemicals in food before. I just ran across a nice short video from the Massachusetts Breast Cancer Coalition, featuring Ruthann Rudel, the Director of Research at Silent Spring Institute describing the problem and how eating real food for just three days decreased the levels of BPA and phthalates in the people tested. Women’s Voices for the Earth recently released a new report, called “Secret Scents“. It highlights the need for ingredient transparency by the companies that create fragranced products, since right now we have almost no way of knowing what is causing the fragrance allergies and other serious health effects people experience when exposed to fragrances. These adverse health effects are increasing, especially in children. Amazingly, companies are not required by the FDA or EPA to disclose fragrance ingredients, so it is difficult for anyone to pinpoint specific fragrance allergens and sensitizers among the hundreds of ingredients that can make up a scent. Another report was also just released, this one on endocrine disrupting chemicals. 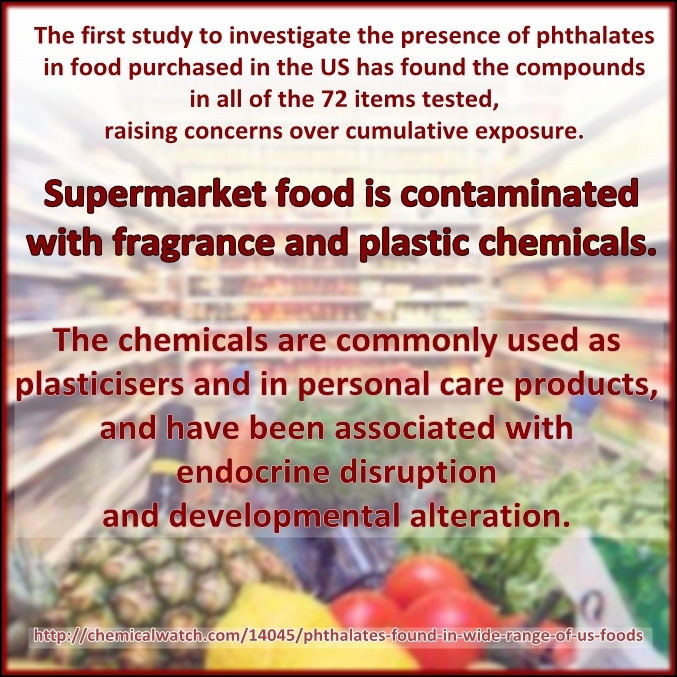 Some fragrance ingredients, like phthalates (see below) are also endocrine disruptors, while others are known carcinogens and/or neurotoxic!